I was teaching a class recently and had a long talk about theology. I shared with them that I’m a theological mutt, I’ve been influenced by a lot different Christian denominations and traditions, and because of that, I see lots more similarities between believers that I do difference. 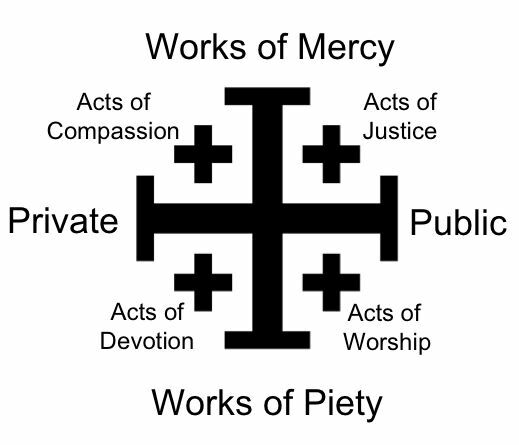 As part of that, I had put together a document talking about that the things that we hold and common, and then some of the distinctive parts of our faith. I’ve revised and updated it, and I thought I’d share it with you. The Creeds – all Christians, whether they “say” the creeds in worship, hold to Orthodox theology as found in the Apostles’ and Nicene Creeds. These are a great benchmark of what we all believe. The Sacraments – There can be disagreements about when and how they are done, but Christians hold to the belief that Baptism and Communion (the Lord’s Supper) are incredibly important to our faith. Scripture – All Christians believe that Holy Scripture is the foundation of our belief, it is how we know God, His will, and understand who He is. We may disagree on interpretations, but we all believe it’s important and foundational. Note – the following similarities don’t include every tradition within the faith; just the ones that most of us within Mississippi are familiar with. I may be working on this in the coming days to include others. Tradition – The faith that has been handed down to us for over 2000 years matters. The teaching of the universal church has much to teach us and is very important to our faith and theology. Nature of salvation – Salvation begins with God’s Work of Grace towards us, but we must respond and then throughout our life, we aren’t saved by our works, but as believers, we are called to faithful in all things. Liturgy – Many of our formal prayers and liturgies resemble the prayers and liturgies of the Anglican Church. Heritage – The Anglican Church is our Mother Church. So we have a shared history with them. 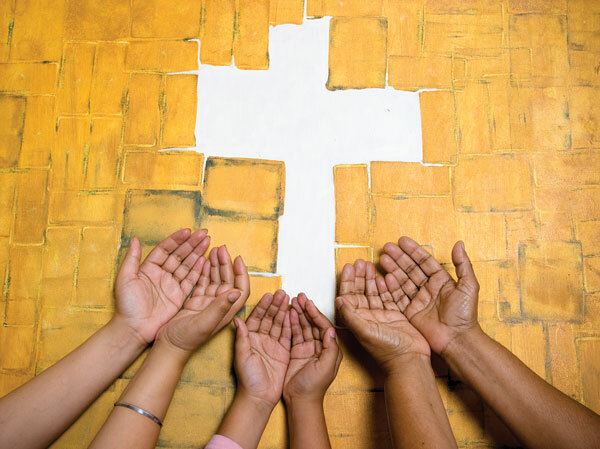 Covenant thought – God reaches out to us through covenants. We are children of the new covenant, and the covenant relationships of the Bible of are great importance to our faith. Power of sin – We are sons and daughters of Adam and Eve. We are fallen. We are sinful. And apart from Jesus, we stand condemned. The Holy Spirit – The Holy Spirit is the power of God at work in the world, and while we experience differently, you can’t confess Jesus as Lord apart from the work of the Holy Spirit. Scripture – The Bible is the foundation of our doctrine and what we believe. Tradition – The Faith and teaching handed down to us for over 2000 years really matters to our faith. Reason – We’ve been given intellect. We have the ability to know and understand what God has revealed to us through Scripture. Experience – Our lives and our experience info how we know and understand God. Know Jesus – it all starts with personal conversion. We have to know Him as Lord. Read Your Bible – Spend time daily in His Word. Pray – Seek Him through Prayer. Go to Church – Be part of the Body. We understand that as a commitment to weekly worship, weekly small group, and daily service. We are called to be a part of something bigger than us. As we that, we become Salt and Light. Connection – We believe that all of us are connected as believers and part of one body. Each church is connected and part of the greater Body of Christ, made up of all believers. Grace – It all starts with grace, God’s action and mercy towards us to call us, save us, and change us. The image of God and the effect of original sin We are made in the image of God, but sin entered in and corrupted that. Salvation’s ultimate purpose is about recovering that which sin took. It will be completed in heaven, but here on the earth, God’s grace works to restore and recover what sin has taken. To says we are made in God’s image means three things. The moral image of God – This means that all humans have in them in a sense (through corrupted) of morality, love, justice, and mercy. These things are responded through salvation and the relationship with God. The way of salvation This is what salvation looks like. We are saved by grace through faith. Here is how we understand that salvation through grace to play out. Prevenient grace: – God reaches out to us, calling us into salvation. Justifying grace and assurance: – God gives us grace by which we are saved. Sanctifying grace: – God’s grace draws us closer to Him, making us more faithful, calling us to love God and love our neighbor. Christian perfection The goal of faith is to make us more like God. What does that mean? God is Holy. And our faith calls us to be more holy. What does that holiness look like? His holiness is shown through His love. So, we are called to, above all else love of God and love of our neighbor. Works of mercy – This is our love of Neighbor. This is done publicly through working as a church body and as believers to confront the evils of the of the world and done personally by individual acts of service.